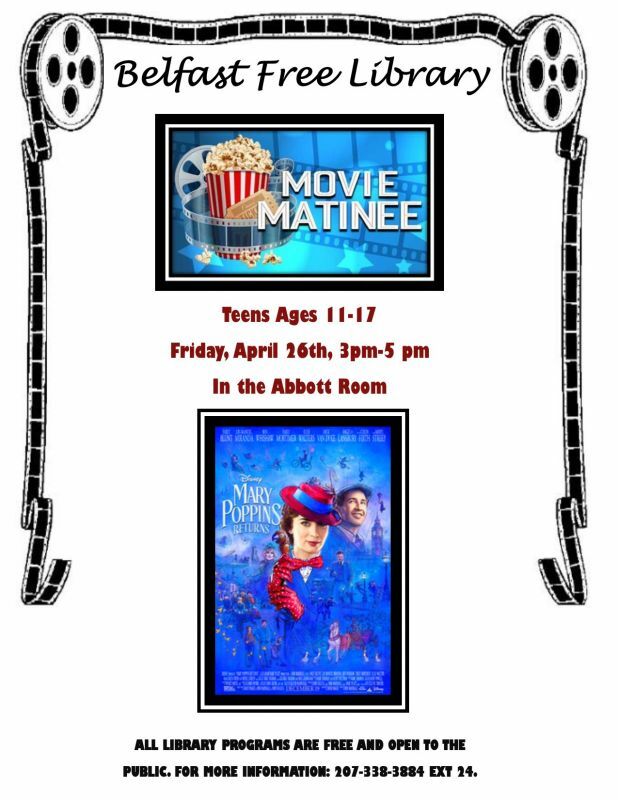 Come watch the brand new movie, “Mary Poppins Returns” and enjoy popcorn. Programs are free and open to the public. Call 207-338-3884 for more information.